Right Brain Development & Whole Brain Integration. RBU helps people overcome deficits in right brain development allowing them to live fuller, healthier lives. Much of what ails us today can be attributed to our education system, which is geared towards developing the left brain. Unfortunately, this can lead to an underdeveloped right hemisphere. People have dominant hemispheres. Right brain dominant people are under-served by our educational system. They often perform poorly due to test-anxiety. People who suffered Adverse Childhood Experiences (see more at the CDC website and at acestudy.org) also commonly struggle with scholastic performance, school avoidance and refusal, as well as drug and alcohol abuse, overweight, work absenteeism, and chronic illness. 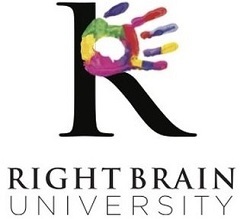 RBU's education, training and tools for right brain development and whole brain integration allow the best version of people to shine forth. The results are increased creativity, reduced stress, better immune and digestive system function, and an increased sense of happiness and well-being. Elizabeth Gould had a thriving career as an Import Operations manager, handling $70 million in product per year before developing an autoimmune illness. 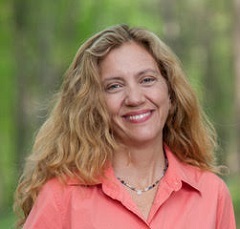 Looking to develop an autoimmune-friendly career, she began writing Southern historical fiction. In 2011, Elizabeth was awarded a 6 week residency to the Martha’s Vineyard Writers Residency. In 2013, her short story, The Tintype, was published in The Westchester Review. She is the author of the upcoming Southern historical fiction novel, West of Center, as well as her health book, Your Best Health by Friday: How to Overcome Anxiety, Depression, Stress, Trauma, PTSD, and Chronic Illness. Unable to get help from Western medicine, Elizabeth turned to alternative health, of which she'd always been a skeptic. What she found healed her. Realizing others were in the same boat--overdeveloping the left brain and not accessing the right brain in order to reset from stress--she created Your Best Health By Friday, which explains the commonalities of stress, inflammation, and illness, gives an overview of alternative health, as well as action steps to heal. Her blog is about celebrating the ability we all have to transform our lives. It’s about getting second, third and umpteenth chances, all in the quest to grow and transform—to live a fuller, healthier life. Filled with how-to tips, as well as connection and commentary on Elizabeth's favorite health, meditation and lifestyle blogs, it’s about rising above one’s programming and loving oneself, shortcomings and all. Workshop locations vary depending on class size. Private sessions and classes are held in Santa Barbara. Please check with Elizabeth for details.